Every day, a powerful and sophisticated underground business delivers thousands of refugees along the Mediterranean coasts of Europe. A new breed of criminals, risen from the post-9/11 political chaos and the fi-asco of the Arab Spring, coupled with the destabilization of Syria and Iraq and the rise of ISIS, controls it. The ever-increasing political volatility has offered them new business opportunities, from trafficking millions of refugees to selling Western hostages to jihadist groups. The kidnapping industry in the Middle East is now worth hundreds of billions of dollars annually. Loretta Napoleoni's exclusive and meticulous research into the business of kidnap and ransom, and its link to terrorist activity, is based on first-hand accounts - from interviews with hostage negotiators to the experiences of former hostages themselves. 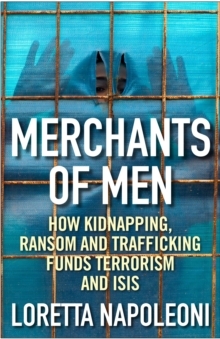 Merchants of Men is a fascinating and eye-opening exploration of this most shocking of financial interdependencies.